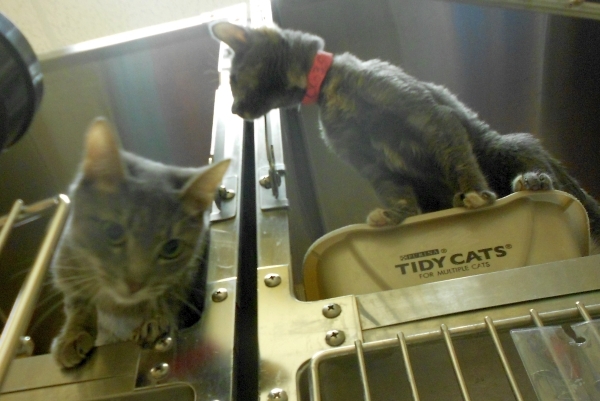 These two girls were new on Saturday. 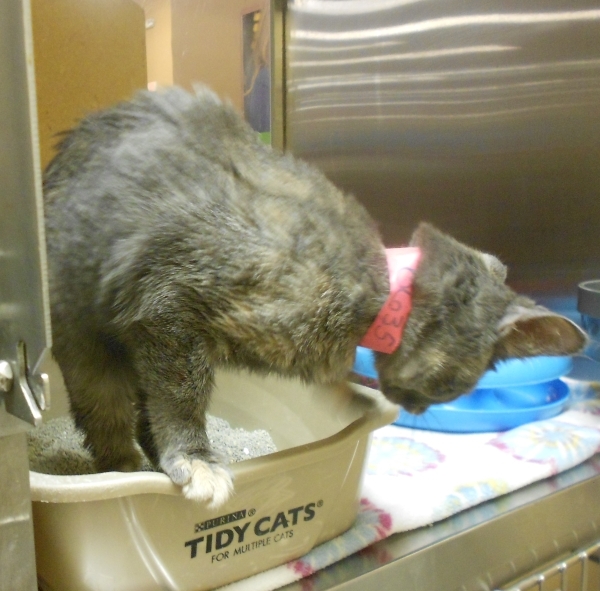 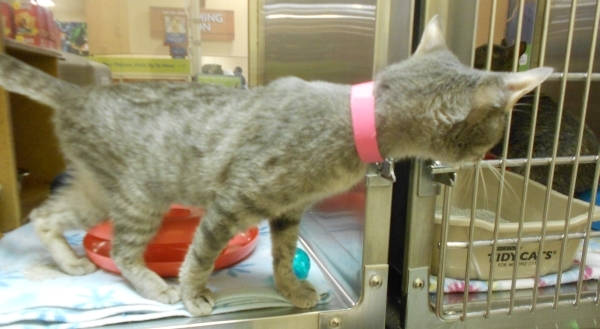 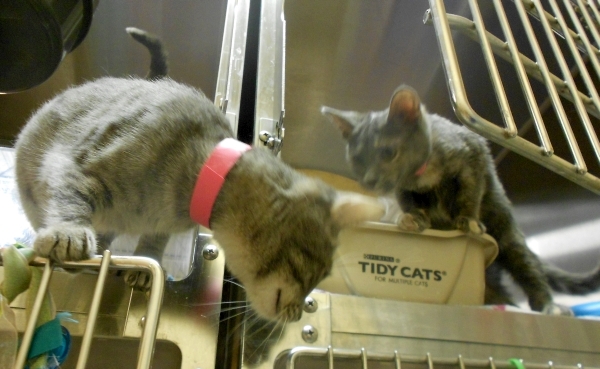 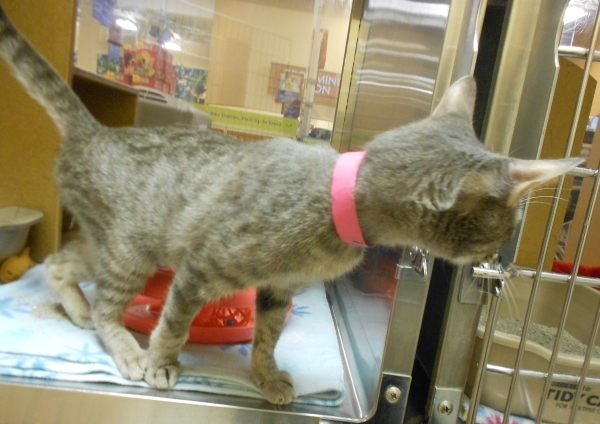 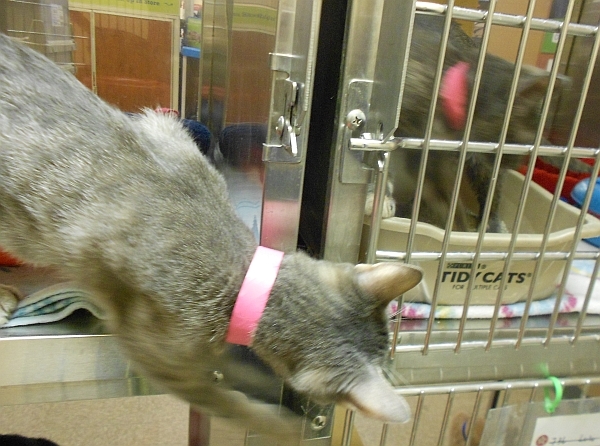 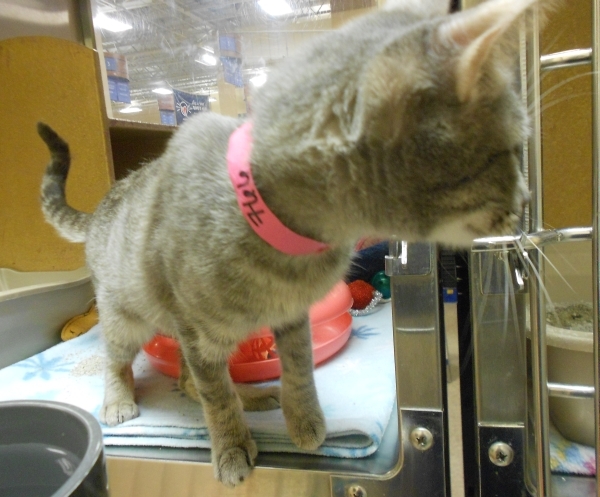 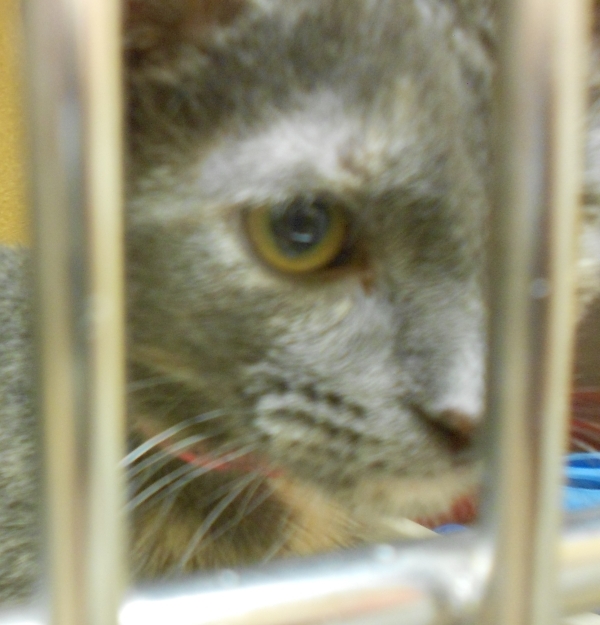 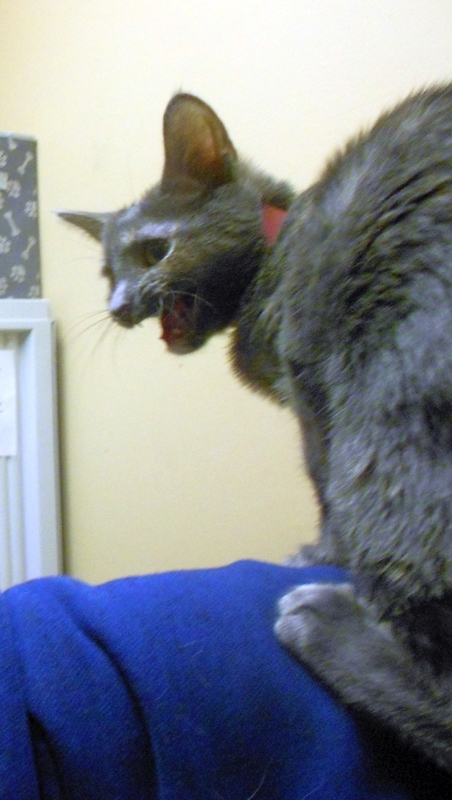 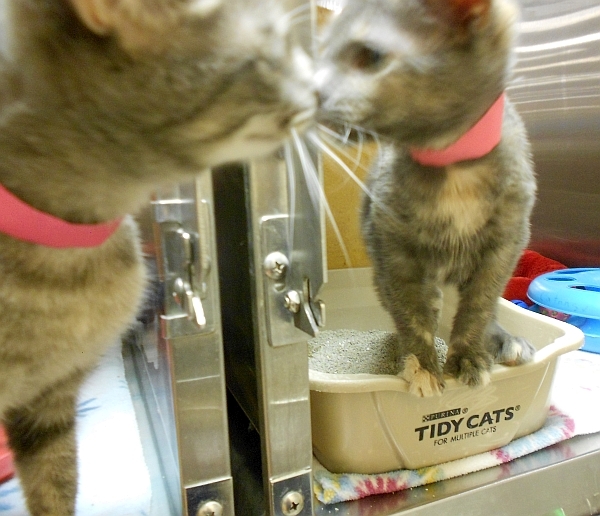 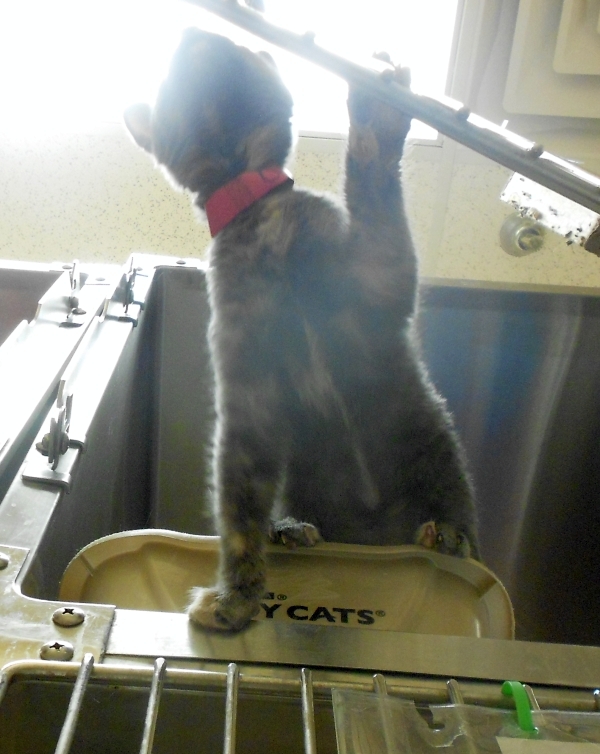 Josephine was a thin grey tabby girl about seven months old who really wanted attention. 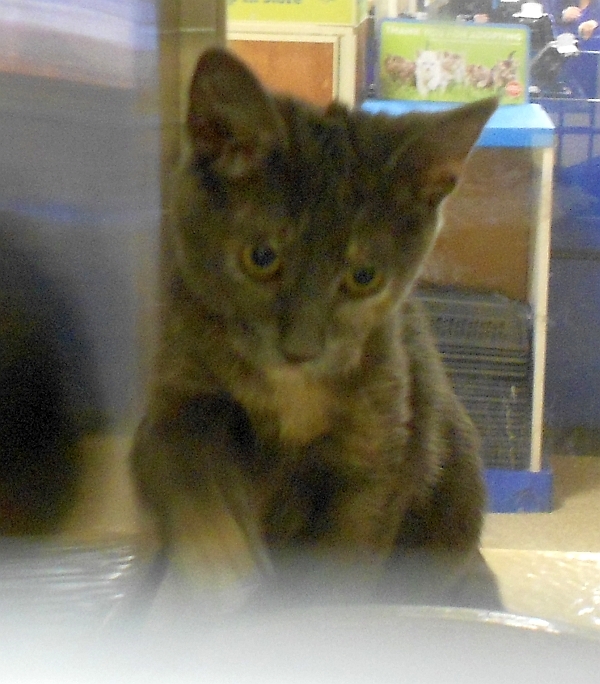 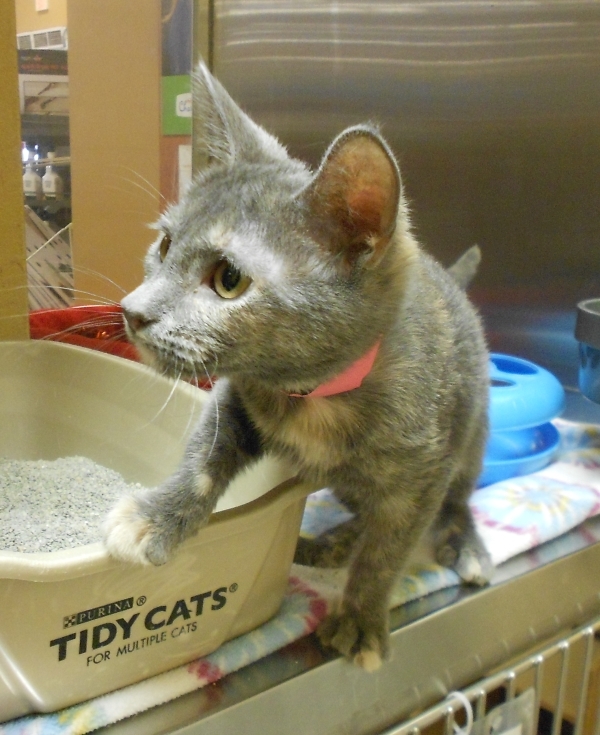 Nikki was a little dilute tortie three or four months old. 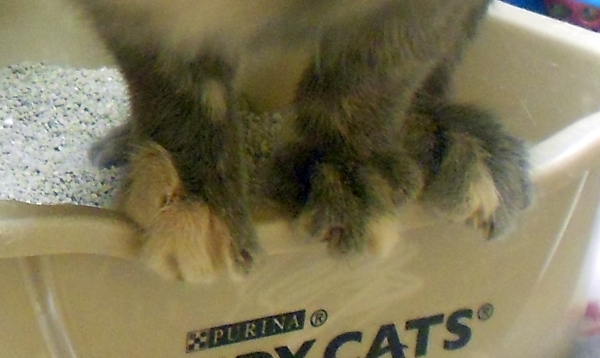 I think they’ve both already sneezed out a bunch of gunk and gone back to the vet, sadly. 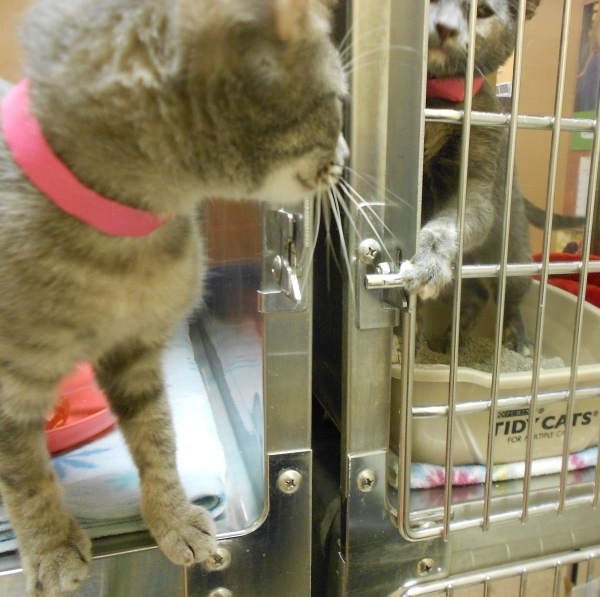 They were nextdoor neighbors and were very interested in one another.